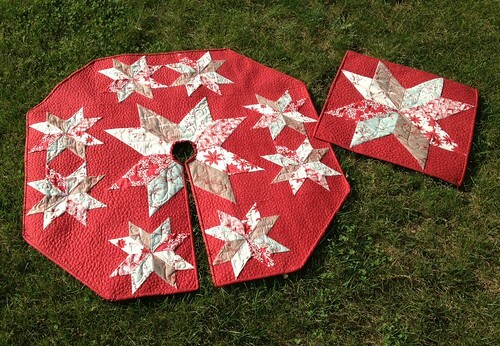 I'm so happy to finally share my Star of Wonder tree skirt and table topper with you. 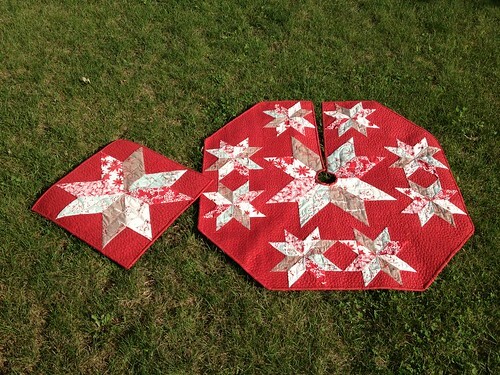 The pattern for these are available in Fat Quarterly's latest issue (#15). I'm so happy to have these done and now I am ready to decorate my home for Christmas! I have promised the family that I will wait until after Thanksgiving, but it won't be easy. 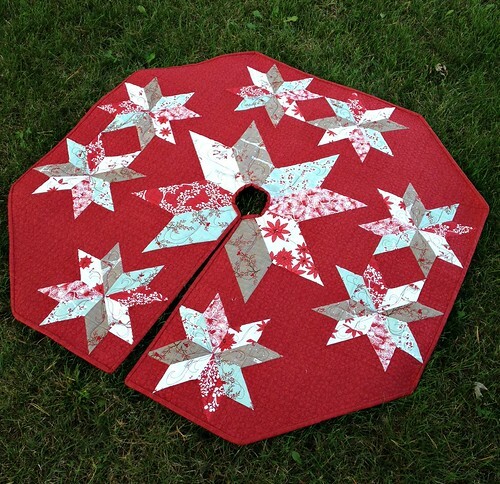 With this pattern you get a bonus 24" star that you can use as a table topper, cushion cover or wall hanging! 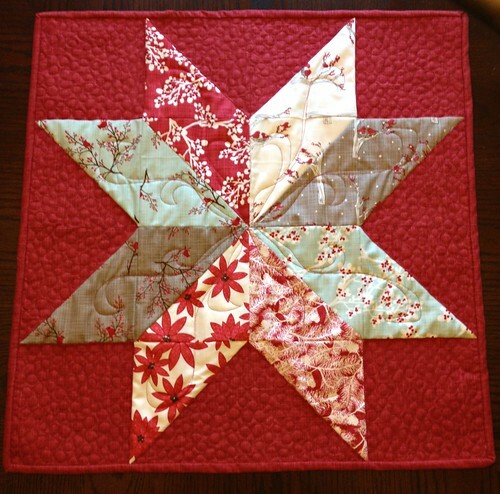 Subscribe to Material Girl Quilts and receive the latest news and creations!